My intern at TCL is over soon. 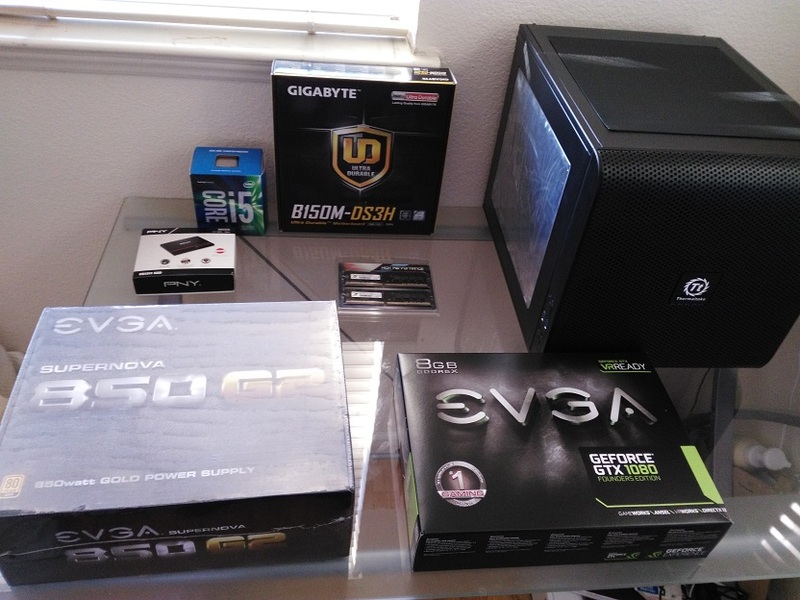 Before going back to the campus for graduation, I have decided to build myself a personal deep learning rig. I guess I cannot really rely on the machines either in the company or in the lab, because ultimately the workstation is not mine, and the development environment may be messed up (It already happened once) . With a personal rig, I can conveniently use teamviewer to login my deep learning workstation at any time. And I got the chance to build everything from scratch. 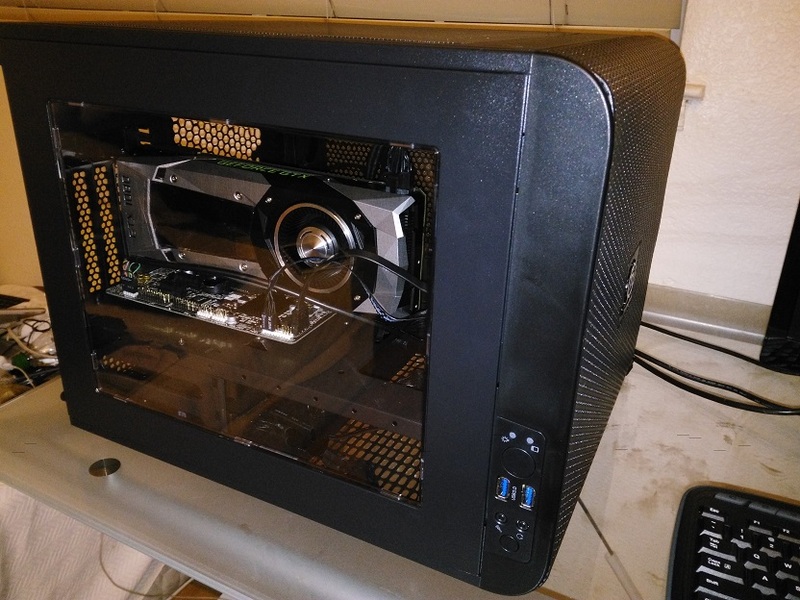 I recommend using PcPartPicker to pick your parts. It helps you find the source where you can buy your part with the lowest price available, and it checks the compatibility of the selected parts for you. They also have a youtube channel where they offer videos that demonstrate the building process. In my case, I used their build article as reference, and created a build list myself, which can be found [here]. Here are the parts that I used to build the workstation. Since we are doing deep learning research, a good GPU is necessary. Therefore, I choose the recently released GTX 1080. It was quite hard to buy, but if you notice the bundles in newegg, some people are gathering this to sell in [GPU + motherboard] or [GPU + Power] bundles. Market, you know. It is better buying the bundle than buying it at a raised price, though. Anyway, a good GPU will make the training or finetuning process much faster. 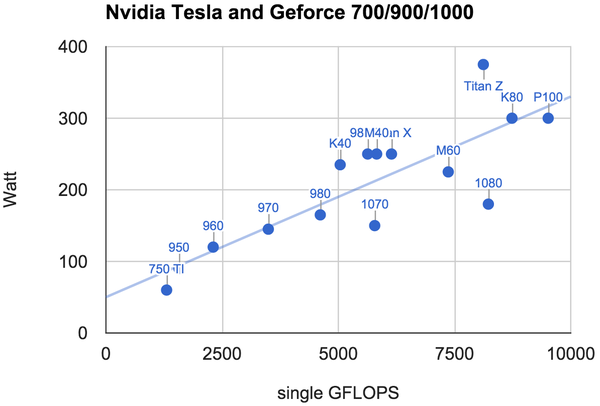 Here are some figures to show the advantage of GTX 1080 over some other GPUs, with respect to performance, price, and power efficiency (saves you electricity daily and the money to buy the appropriate PC power supply). 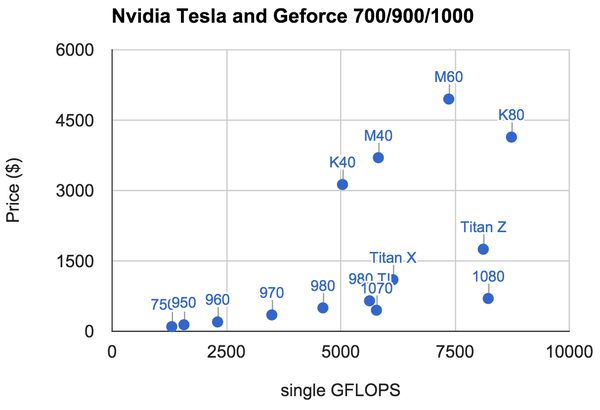 Note that GTX 1080 has only 8GB memory, compared to 12GB of TITAN X. You may be richer or more generous to yourself, therefore considering using stacked GPUs. Then remember to choose another motherboard that has more PCIs. It is very common to use Ubuntu for deep learning research. But sometimes you may need another operating system working as well. For example, if you are also a VR developer, having a GTX 1080, you may want a Win10 for VR development with Unity or whatsoever. Here I introduce the installation of both Win10 and Ubuntu. 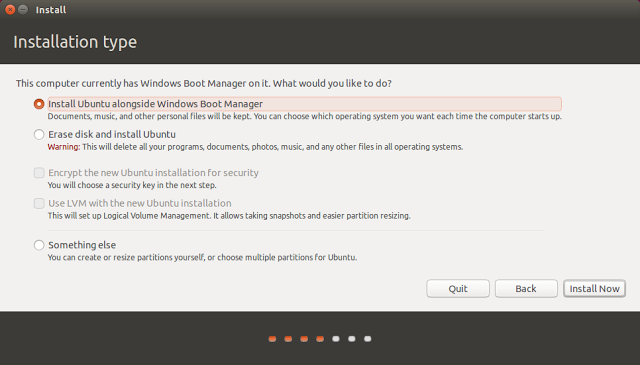 If you are only interested in the Ubuntu installation, you can skip installing windows. It is very convenient to install operating systems with USB disks, as we all have them. Because the USB disks will be formatted, you won’t want that happen to your portable hard disk. Or if you have writable DVDs, you can use them to install operating systems and save them for future use, if you can find them again by then. Since it is well illustrated in the official website, you can go to [Windows 10 page] to learn how to make the USB drive.As of Ubuntu, you can similarly download the ISO and create USB installation media or burn it to a DVD. If you are now using Ubuntu system, follow [this tutorial] from Ubuntu official website. If you are current using Windows, follow [this tutorial] istead. It is highly recommended that you install windows first for a dual-system installation. I will skip win10 installation as detailed guide can be found here: [Windows 10 page] . One thing to note is that you will need the activation key. You can find the tag on the bottom of your laptop, if it has been installed windows 7 or windows 10 upon purchasing. Installing Ubuntu16.04 was a little tricky for me, which was kind of a surprise. It was mainly because I did not have the GTX 1080 driver pre-installed at the very beginning. I will share my story with you, in case you encounter the same problems. First things first, insert the boot USB for installation. Nothing is showing on my LG screen, except that it says frequency is too high. But the screen is okay, as is tested on another laptop. I tried to connect the PC with a TV, which was showing, but only the desktop with no tool panel. I figured out it was the problem of the NVIDIA driver. So I went to BIOS and set the integrated graphics as default and restart. Remember to switch the HDMI from the port on GTX1080 to that on the motherboard. Now the display works well. I successfully installed Ubuntu following its prompt guides. In order to use GTX1080, go to [this page] to get the NVIDIA display driver for Ubuntu. Upon installing this driver, make sure that GTX1080 is on the motherboard. Make sure you are logged out. Hit CTRL+ALT+F1and login using your credentials. Enter runlevel 3 by typing sudo init 3and install your *.run file. You might be required to reboot when the installation finishes. If not, run sudo service lightdm startor sudo start lightdm to start your X server again. After installing the driver, we can now restart and set the GTX1080 as default in BIOS. We are good to go. Problem: When I restart, I couldn’t find the option to choose windows. Problem: Ubuntu does not support wireless adapter Belkin N300, which is commonly sold in Bestbuy. Solver: Follow instructions in this link, the problem will be solved. Solver: Refer to this link. Anaconda is an easy-to-install free package manager, environment manager, Python distribution, and collection of over 720 open source packages offering free community support.It can be used to create virtual environments, where each environment will not mess up with each other. It is helpful when we use different deep learning frameworks at the same time, and the configurations are different.Using it to install packages is convenient as well.It can be easily installed, follow this. Advantage：matlab-like，easy to review intermediate results. Advantage：modular coding，more complete IDE for web development frameworks and cross-platform. In my personal philosophy, I regard them to be merely tools. Each tool will be used when it comes in handy. I will use IDEs for the construction of the backbone for the project. For example, use pycharm for the framework construction. After that, I will just modify code with VIM. It is not that VIM is so powerful and showy, but because it is the single text editor that I want to really master. As of text editors, there is no need we should master two. For special occasions, where we need to frequently check IO, directories, etc, we might want to use spyder instead. You do not need to install spyder, as is included in anaconda. Download from the official website. Just unzip. Set anaconda to be the project interpreter for pycharm, dealing with package management. Follow this. CUDA 8.0 will give a performance gain for GTX1080 (Pascal), compared to CUDA 7.5. It seems that ubuntu 16.04 does not support CUDA 7.5 because you cannot find it to download on the official website. Therefore CUDA 8.0 is the only choice. As part of the CUDA environment, you should add the following in the ~/.bashrc file of your home folder. One problem I encountered was，”gcc version later than 5.3 not supported!” My gcc version was 5.4, and I had to remove it. This is the easiest of all to install. Just type “make”, and that’s it. I used to have caffe, darknet, mxnet, tensorflow all installed correctly in Ubuntu 14.04 and TITAN-X (cuda7.5). And I have done projects with these frameworks, all turning out working well. It is therefore safer to use these pre-built environments than adventuring with latest versions, if you want to focus on the deep learning research instead of being potentially bothered by peripheral problems you may encounter. Then you should consider isolate each framework with its own environment using docker. These docker images can be found in DockerHub. Unlike virtual machines, a docker image is built with layers. Same ingredients are shared among different images. When we download a new image, existing components won’t be re-downloaded. It is more efficient and convenient compared to the replacement of the whole virtual machine image. Docker containers are like the run-time of docker images. They can be committed and used to update docker images, just like Git. To install docker on Ubuntu 16.04, we follow instructions on the official website. Docker containers are both hardware-agnostic and platform agnostic, but docker does not natively support NVIDIA GPUs with containers. (The hardware is specialized, and driver is needed.) To solve this problem, we need the nvidia-docker to mount the devices and driver files when starting the container on the target machine. In this way, the image is agnostic of the Nvidia driver. The installation of NVIDIA-Docker can be found here. More can be easily found on docker hub. For computer vision researchers, it will be awkward not to see results.For instance, after adding some Picasso style to an image, we would definitely want to the output images from different epoches.Check out this page quickly to share data between the host and the container.In a shared directory, we can create projects. On the host, we can start coding with text editors or whatever IDEs we prefer. And then we can run the program in the container.The data in the shared container can be viewed and processed with the GUI of the host Ubuntu machine. Don’t be overwhelmed if you are new to docker. It does not need to be systematically studied unless you want to in the future.Here are some simple commands for you to use to start dealing with docker. Usually they are sufficient if you consider Docker a tool, and want to use it solely for a deep learning environment. docker images： Check all the docker images that you have. docker ps -a：Check all the containers that you have. docker ps -a：Check the containers you have. docker ps: Check the running container(s). docker stop [container’s ID]: Stop this container. 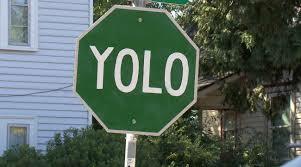 How to train YOLO on our own dataset? By analyzing the CPU running time of the original YOLO model, we found that the majority of the time (>90%) is spent on the convolutional layers. Therefore, the reduction of time spent on convolutional layers is essential. The size of the weight file, accordingly, is related to the number of neuron-to-neuron connections, therefore also related to the settings mentioned above. If Jonathan Blow is the god that created this game, there might be a number of religions trying to explain his world. Obviously, none of them is a scientific bottom-up theory. However, these religions take into account the limited sources observed in this game, and give an reasonable explanation to people who are curious about mysteries in this world and eager for a top-down interpretation (unless contradictory evidences are further discovered). My religious explanation of the witness is described in this article. You can choose to believe it or otherwise build a theory of your own. I will only do my best to provide evidences that back up mine. It is highly speculative, but I hope you enjoy it. YOLO, short for You Only Look Once, is a real-time object recognition algorithm proposed in paper You Only Look Once: Unified, Real-Time Object Detection , by Joseph Redmon, Santosh Divvala, Ross Girshick, Ali Farhadi. The open-source code, called darknet, is a neural network framework written in C and CUDA. The original github depository is here. That being said, I assume you have at least some interest of this post. It has been illustrated by the author how to quickly run the code, while this article is about how to immediately start training YOLO with our own data and object classes, in order to apply object recognition to some specific real-world problems. Successful entrepreneurs manage resources and his own time wisely. In order to help whoever wants to found a startup, I am sharing with you tools to build your product more efficiently. If you want to build a website, what do you do? One inexpensive solution is to be a Lamper. That is, you use 【Linux + Apache + Mysql/MariaDB + Perl/PHP/Python】as your tool, which are free and opensource. However, It takes time to be an expert. And time is money. We sometimes only want to stand on the shoulder of the former. Just like the above example, I am writing this article to share with you some resources, which may speed up the process of the development of a product. I wish you success with minimum repetitive work.